The Blizzard Bonafide received an updated shape and rocker profile last season and remains a fantastic ski for aggressive skiers who want a single ski to slay any mountain or condition that is below their tips. The newest version of the Bonafide has a little less rocker in the tip and tail than previous versions that adds a lot of energy and responsiveness into a ski that was already maneuverable. The shape helps the Bonafide dive into turns a little quicker than before. Blizzard uses their Carbon Flipcore Construction to pull heavier material away from the tips and tails of the Bonafide to add extra maneuverability as charge through any terrain you may find. Blizzard manufactures the cores of their skis upside down so the wood maintains its power and integrity. Two full length sheets of Titanium and another sheet underneath the binding platform make the Bonafide a go to ski for aggressive chargers looking for the upmost in stability and power. The 98mm waist will surprise you as to how edgy and quick it feels on groomers, but provides plenty of flotation and stability when things get deep. 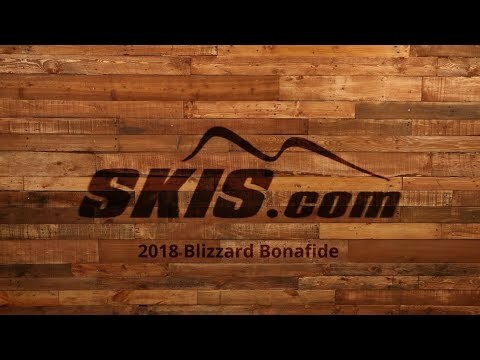 2019 Blizzard Bonafide Ski Review by Thom . 2019 Blizzard Bonafide Ski Review by Ryan. 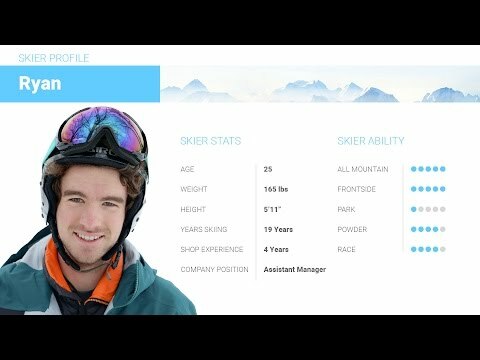 Q: At 6' and 210 lbs and an advanced skier but not a hard charger. Like the soft over the hard. Would a 180 or the 187 cm be the best for me? A: With your weight and ability you really could go either way. If you spend most of your time off piste go with the 187cm for better flotation. If you like a quicker turn you can go with the 180cm.